Ten years ago today Northern Ireland entered into a new political era, with the restoration of devolution lead by former enemies Martin McGuinness and Ian Paisley, in a political union that surprised almost everyone. Power sharing, established after the Good Friday Agreement, had collapsed in 2002 following raids on Sinn Féin’s Stormont offices and allegations of an IRA spy ring. That story took an unexpected twist when one of those charged, Denis Donaldson, later confessed to being a long time double agent. Donaldson was murdered while living in exile in a cottage in rural Donegal in April 2006. The following May the world’s media gathered at Stormont to see firebrand preacher Ian Paisley walk through the doors of Stormont with the hand of Martin McGuinness on his back guiding him, the sworn enemies having agreed to go into government together. It was the start of a lengthy period of tense but stable power-sharing that only ended with the resignation of Martin McGuinness in January of this year, just four months before his death from a rare heart disease. Political commentator Brian Feeney said looking back on the events of May 8, 2007, he was “optimistic” that the Paisley and McGuinness government hailed a new and more stable political era. “I was optimistic because I always believed that until the two extremes sat down together there was never going to be a resolution”, said Mr. Feeney. “For a long time the DUP had been outside the political arena, they didn’t take part in negotiations, they voted against the Good Friday Agreement and so it took the best part of ten years to get them to that point. 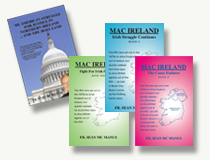 “But by 2006 they were the majority unionist party and Sinn Féin the majority nationalist party. “Once it got started it was stable, and it was stable because they were the two dominant parties and so weren’t threatened. “The previous instability came from the SDLP and UUP constantly looking over their shoulders”, Mr. Feeney said. The deal to enter into government ten years ago was overseen by then taoiseach Bertie Ahern and Labor leader Tony Blair, both who viewed peace in Northern Ireland as a crucial part of their personal, political legacy. Having previously struggled to get the former enemies to the table the relationship between Paisley and McGuinness would flourish, earning them the title of the ‘Chuckle Brothers’. 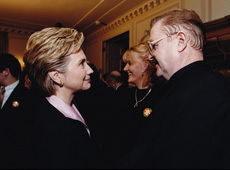 Mr. Feeney said while the friendship surprised many it was born out a genuine if late found respect for each other. “It was a genuine relationship, and we know that because even after Paisley retired Martin McGuinness kept in touch with not just Paisley but the Paisley family, and even after he died he still kept in touch with the family. “This was reciprocated when Ian Paisley, Jr. was sympathetic after the death of Martin McGuinness. “They probably did find common ground, Paisley spent his entire life as an outsider in the same way Martin McGuinness did, as an IRA man he was demonized by the media and political rivals and so both were outsiders, I’m sure they must have had many conversations about their past”. With political negotiations to restore devolution currently postponed until after the June general election Mr. Feeney said he is “much less optimistic now” than he was ten years ago. “Sinn Féin are asking for a total change of attitude from the DUP and that’s a big ask”, he said. “There are members of the DUP who still don’t acknowledge Sinn Féin, would walk past them in the corridor at Stormont without speaking and wouldn’t even get into the same lift. “Repeatedly people like James Brokenshire say ‘the people voted for restoration’ but no they didn’t, they voted to support Sinn Féin in putting manners on the DUP and so there’s no pressure Sinn Féin to go back in again and I don’t see any urgency on that front”, Mr. Feeney added.